MasterRCC (Roller Compacted Concrete) is Masters Concrete paving mix which has been specially formulated and optimized for strength and mix stability. 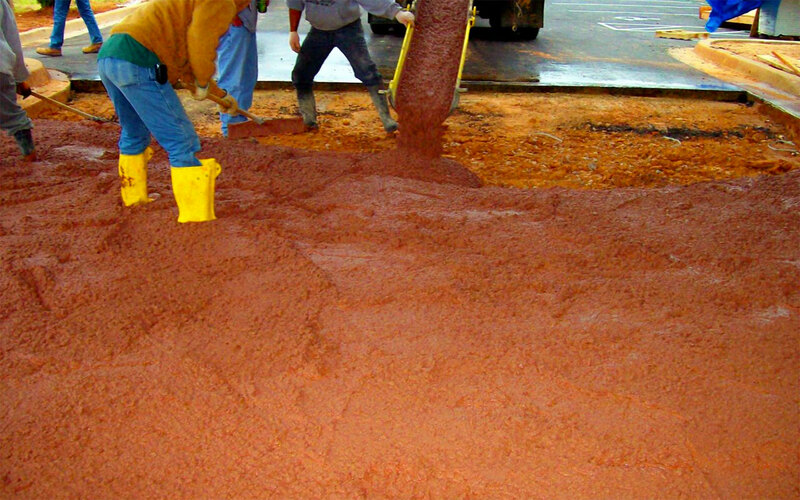 MasterRCC has the same ingredients as conventional concrete but is pre-mixed at the plant then shipped in a dump truck and placed with equipment common to the asphalt industry at costs 20% to 30% lower. Construction of roller compacted concrete pavements is more similar to asphalt than it is to traditional concrete. 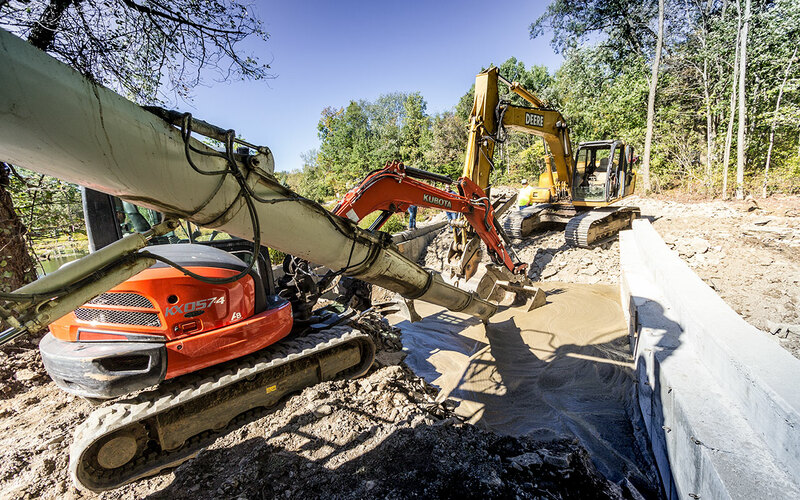 Our mix is optimally designed for compaction and stability. It is pre-mixed at our plant and can travel up to an hour to the job site in a normal dump truck. Placement can be done in a variety of methods ranging from graders to conventional asphalt pavers to high density pavers. Small asphalt pavers will achieve an initial compaction of about 80% to 85% and will typically require two to three passes with a properly weighted roller. A high density paver may achieve more than 95% initial density and may or may not require additional roller compaction. Cracking occurs in all concrete. Joints direct cracking in a more aesthetically pleasing way. While joints are always optional, in MastersRCC they are less needed. If joints are desired, they should be cut with an early entry saw at about half the rate of traditional concrete. 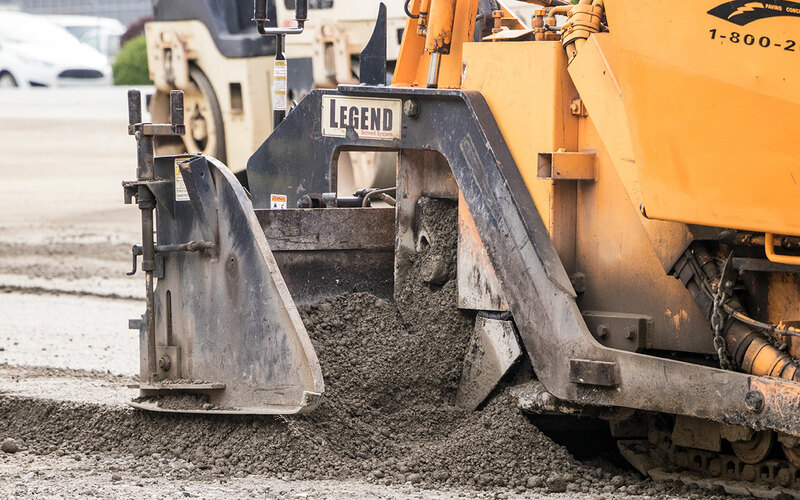 While a 24 hour curing period is always recommended, once compaction is achieved, the pavement may be immediately opened to limited, light traffic. Traditional concrete is known for its resilience and durability, but MastersRCC, is more durable than even traditional concrete. This translates into less maintenance and a paving surface that can last decades longer. By eliminating the need to perpetually resurface with asphalt, owners will not be subjected to future asphalt price increases. Concrete’s lighter and more reflective surface decreases lighting energy up to 30%, a savings the owner can keep for the life of the project. The cooler, more reflective concrete pavement decreases ambient temperatures by about 7 to 10 degrees, unlike asphalt pavement that increases the temperature around a building, thus driving up cooling costs on hot summer days.